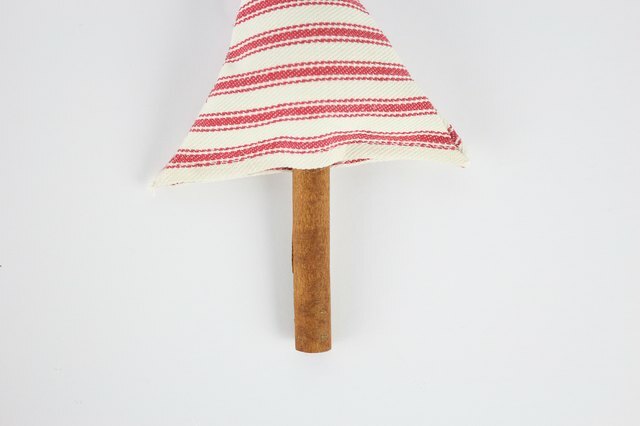 Each season is typically associated with a certain smell: spring with fresh blooms, summer with the ocean, autumn with pumpkin spice, and Christmastime with cinnamon, pine and gingerbread. These scents can evoke memories and even influence your mood. 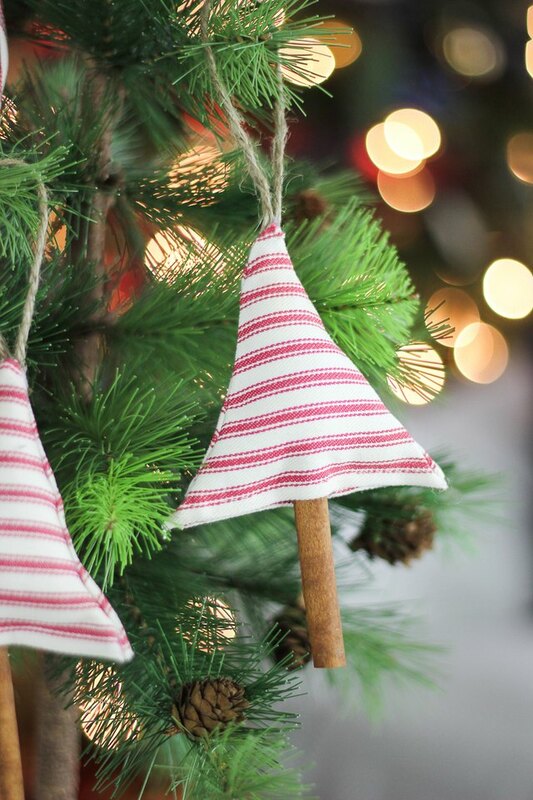 Not only will these aromatic ornaments look beautiful on your Christmas tree, but they'll fill the room with that familiar scent of the holidays and, hopefully, bring back beautiful memories of Christmases past. Cut a triangle out of cardboard or cardstock, about 5 inches tall. 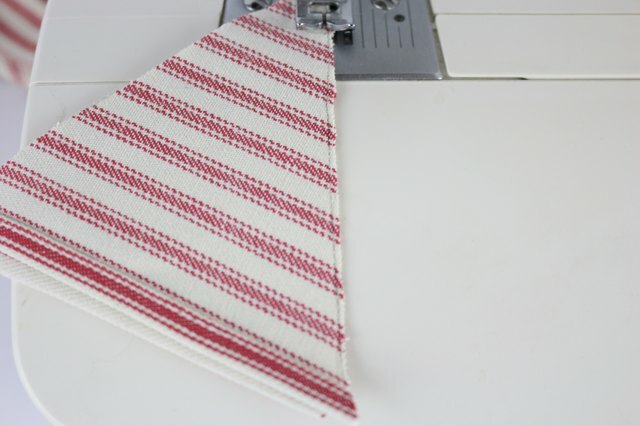 Place it over the wrong side of the fabric and trace around it with a pencil. 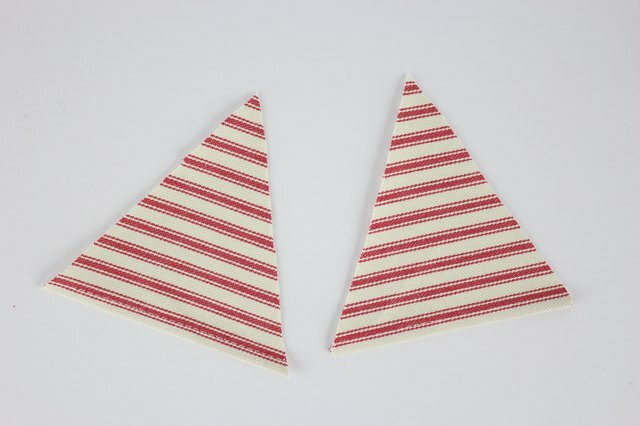 Cut out two identical triangles from the fabric with scissors. 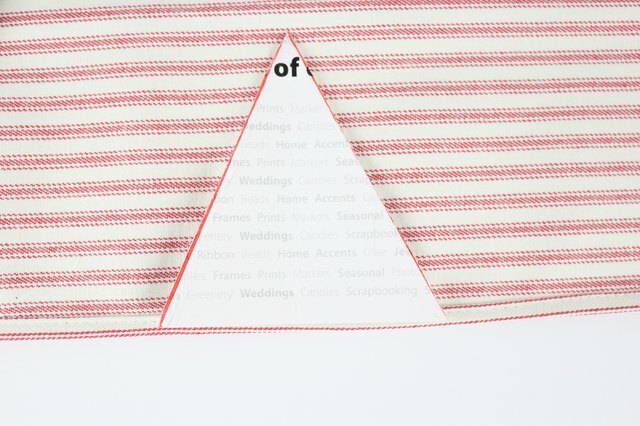 Place the two triangles on top of each other, making sure the right sides of the fabric are on the inside. Cut a piece of jute or string and form a loop, placing it between the triangles so it's sticking out through the tip of the triangle. 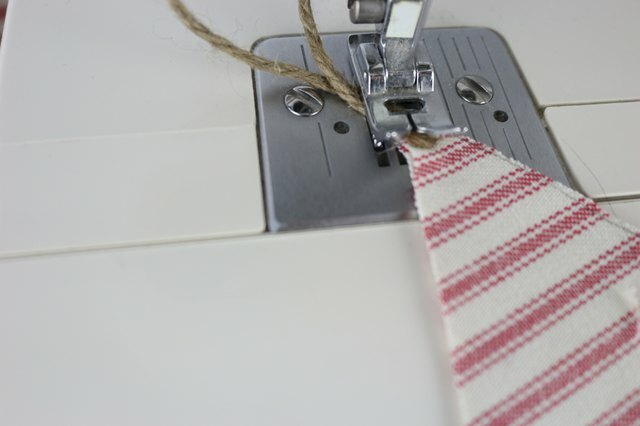 Sew the two triangles together with a basic stitch. Leave the very tip and the bottom open. 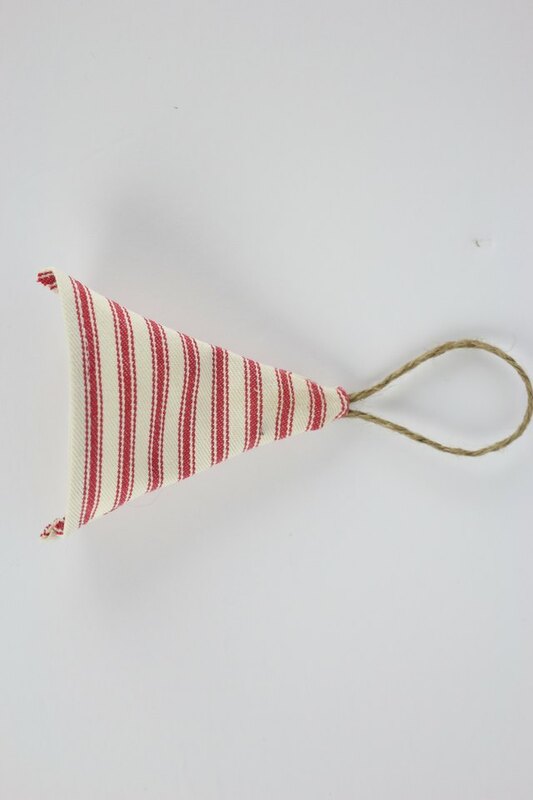 Sew the ends of the jute string to the very top of the triangle. Remember that the loop needs to be inside of the triangle. Turn the triangle inside out. 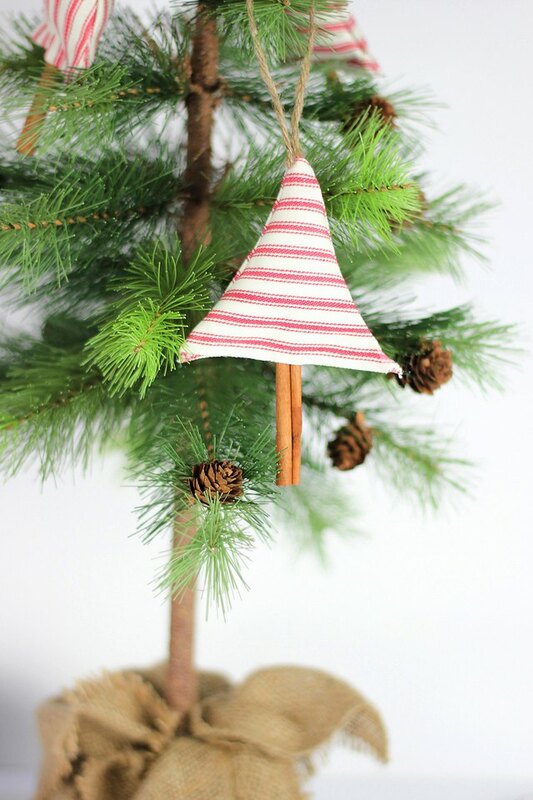 Stuff the triangle with polyester stuffing or batting and stick a cinnamon stick in the middle of the open end of the ornament. 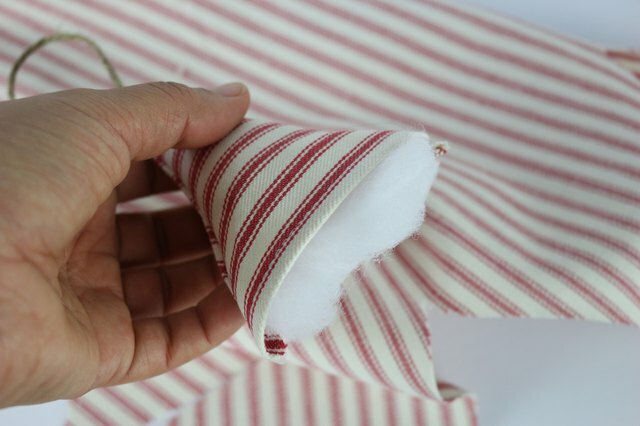 Sew shut or use hot glue to close the bottom of the triangle. These aromatic ornaments can be customized to match your decor, can also be used as gift toppers, and will definitely be enjoyed year after year.